I'm lucky as DH takes care of the morning shift with the kids as I leave before anyone wakes up! I'm going to recommend this to him as they love bagels! He would probably make fruit faces! I add fruits to my bagels for breakfast. 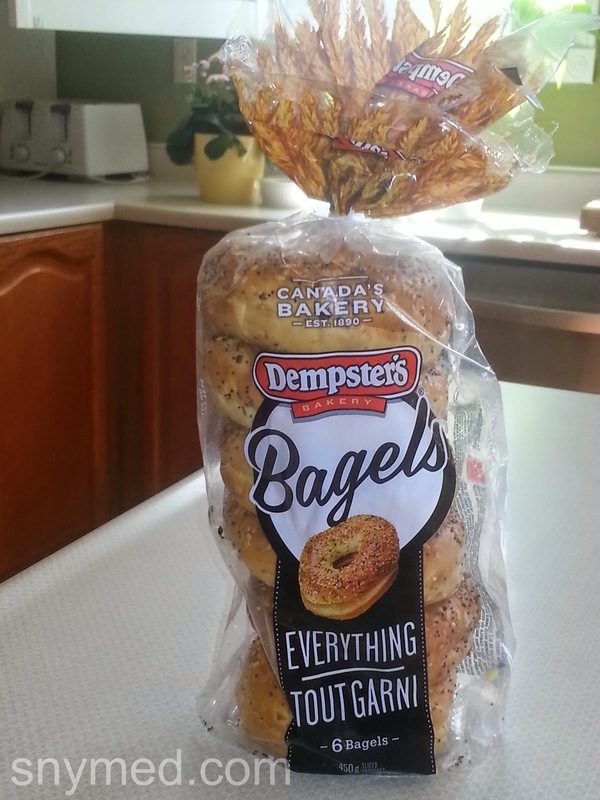 I eat bagels at any time of the day and like them for an afternoon or evening snacks! These Look Delicious & Easy To Make I Love Putting Jellies On Them! I actually have never done this but I think my kids would love them. I love bagels and cream cheese. I haven't put fruit on them though. I like this idea. I have some cream cheese and fruit in the fridge I just need bagels. Thanks for sharing! Breakfast is pretty challenge at our home too and we only have 2 wee little ones. My son loves his bagel toasted with cream cheese or sometimes with just cheese melted on top. He calls it his pizza bagel! Breakfast is pretty challenging at our home and we only have 2 little wee ones. My son likes his bagel toasted with cream cheese or sometimes with just cheese melted on top. He calls it his pizza bagel. Such a great idea! This year come september I think its gonna be really tricky for how to manage our time properly. My youngest will be going to school, and our schedule is sooo not right for school right now. We totally need to get a routine in place. This breakfast will at least help us get out the door quickly! Easy and healthy,a perfect breakfast ! This is my kind of breakfast, quick, easy and yummy! 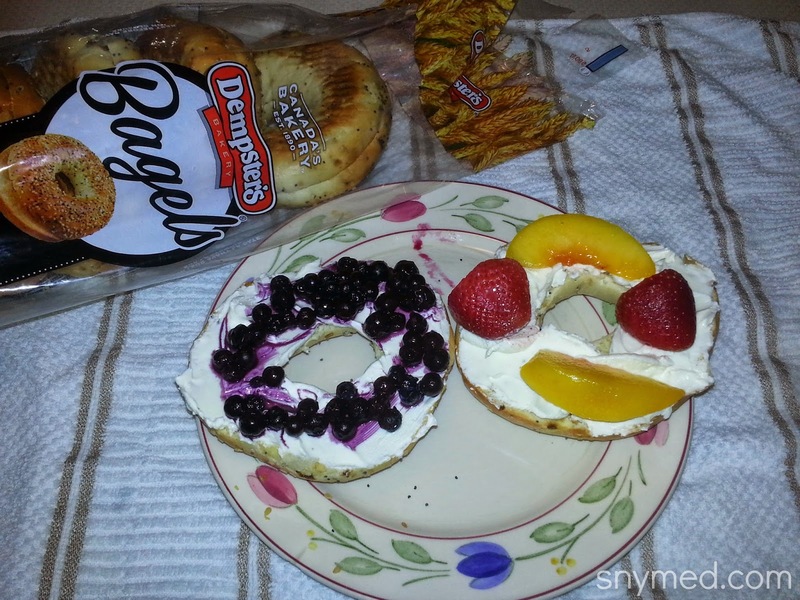 Never thought about having fruit on bagel. Interesting! 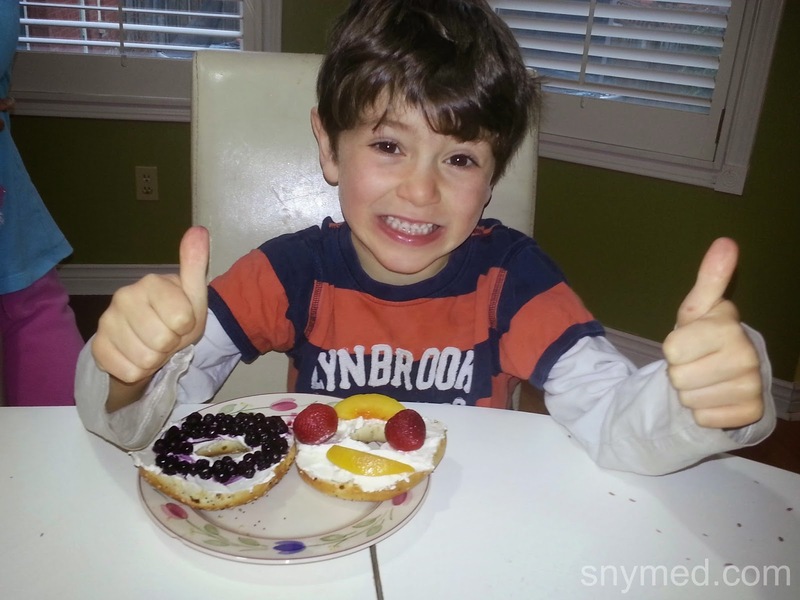 I wish my 4 year old son would eat a bagel with fruit on it. It looks amazing! Thy this the kids loved it ! Happy Saturday Jenna,we may have had some mess with the grandkids this morning doing the bagels with them but it was worth a million messes to see the smile on their little faces,thanks for the fun idea.